The Russian president has formed an interdepartmental commission led by the interior minister, which will be responsible for fighting extremism in Russia. ­The commission will develop measures to prevent manifestations of extremism and remove those conditions which fuel it, the presidential press service reported on Friday. The body must monitor the situation, submit proposals to the president on the formation of the state’s policy in this area, and draft bills to amend the relevant legislation. Interior Minister Rashid Nurgaliev on Friday presided over the first meeting of the commission. He recalled the tragedy that recently occurred in Norway, when a man with an extremist agenda killed dozens of people. The events in that country “have once again shown how dangerous extremist views are today, how destructive they are,” Nurgaliev said. One of the main goals of the commission is to coordinate the activities of federal bodies and regional authorities in fighting individuals and groups who incite xenophobia or are involved in extremist activities. As the Interior Ministry will organize the work of the new body, it will also include 16 heads of other ministries and agencies – from the Federal Security Service (FSB) to the Ministry of Culture. 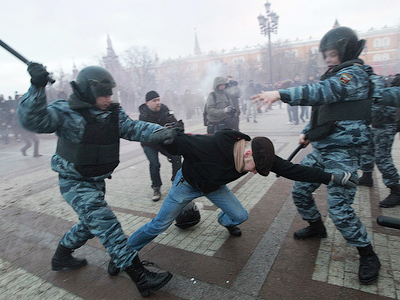 The Russian authorities have stepped up the fight against extremism and xenophobia after riots on Moscow’s Manezhnaya Square in December of last year, when hundreds of soccer fans clashed with police. 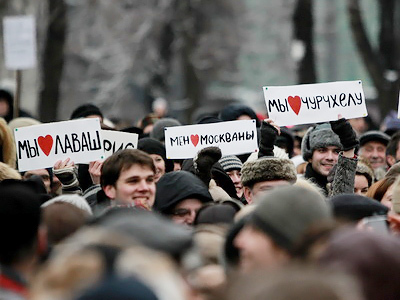 They were protesting the inaction of the police in the case of their fellow fan Yegor Sviridov, who was killed in a street brawl by natives from the North Caucasus. 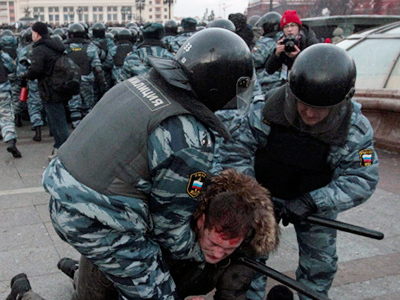 While soccer fans, nationalists and natives of North Caucasus tried to organize several rallies in Moscow, but their attempts were suppressed by the police. 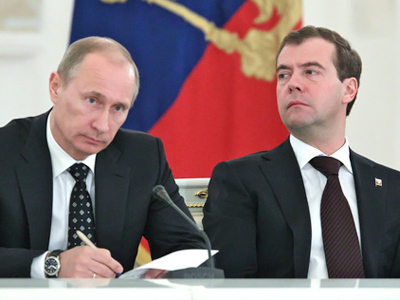 Since then, President Dmitry Medvedev has held several meetings of state officials which were devoted to the problem of extremism and xenophobia. In the end of December 2010, he stressed the need to create a state commission on these issues. “Inter-ethnic conflicts are lethal for Russia, no matter where they occur,” Medvedev said at the joint session of the State Council and the presidential council on national projects. The president admitted that such conflicts were tense in some Russian regions. Prime Minister Vladimir Putin said at that time how extremists had used soccer fans as “cannon fodder.” It is necessary to distinguish between those who are interested in national culture, and nationalists who speculate on national feelings, he noted. Last week, the prime minister met with religious leaders to discuss a problem which has clearly become tense in recent months. He said the people should be taught tolerance, adding that a governmental agency could be created to supervise the issues of inter-ethnic relations in Russia.